The brake is a vital part of a vehicle and most of the drivers are aware of the fact that a daily maintenance is required to keep up the vehicle in proper working condition. In concern with the braking system of a vehicle, a routine check of oil and change of brake pads from time to time is what all is required. But well, that’s not enough, there are other parts in the braking system like brake rotors. Brake rotors are also called brake disc. Rotors help to stop your vehicle from spinning the wheels by compressing down the brake pads. Alike brake pads, rotors are equally important for stopping a vehicle to move further. There are different rotors available for different types of vehicles. Not all rotors are same. The rotors must have a thickness, surface diameter, and cooling ability because overheating rotors can cause corrosion of brake pads, brake fading, etc. Usually, the selection of brake rotor depends on the type of vehicle, buyer’s budget and driving habit. People replace their rotors when they are totally worn out or if they want to upgrade their brake rotor for better performance. There are a variety of rotors offered for cars, SUVs, trucks or minivans. It is a solid disc made up of gray iron. It has the capability to work under high temperatures without fading or distorting. These rotors are economical and can be replaced when needed. They are meant to be used by most of the cars, SUVs, and minivans. Any vehicle can be upgraded to cross-drilled brakes. The rotor has a number of holes in the disc, which permits heat dissipation to a great amount. This also helps the brake rotor to stay cool and strong. It also gives a sporty look to the car. This type of rotor is suitable for vehicles that face hot climates and go for highway driving routes. These types have machined grooves, which are diagonal. It allows cool air to pass between the pad and rotor space and also diffuse the heat providing cooler brake function. The grooves or slots keep water, dirt, and debris away from the rotor and brake pads. If one lives in an area having the wet climate, then this is an ultimate option. It is a combination of cross-drilled and slotted rotors. They have features of both so as to perform even better. The grooves lessen the friction on brake pads and also keep the disc clean and guarded against dirt and debris on road. They can handle all type of braking situations efficiently because of such features. 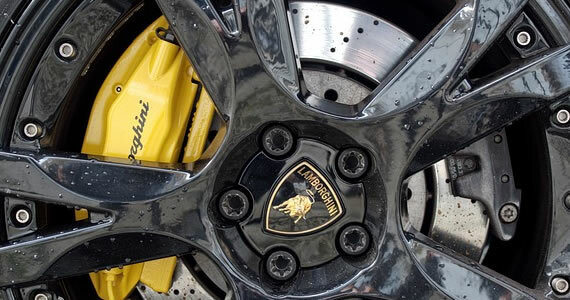 These rotors are also called carbon ceramic brake rotors. It is made up of carbon and silicon, which when heated converts into a ceramic that is as hard as diamond. These rotors are especially used only for high-performance vehicles and are imperishable. These are very expensive to buy and upgrade. They provide great resistance and strength to the vehicle for outstanding performance. An appropriate selection of brake rotors in accordance with the braking system and vehicle type helps the vehicle to run effectively and last longer for years without any major issues. This information will definitely assist you in finding out the most suitable rotor for your vehicle. There are a lot of brake pads and disc rotors available online also. For more details, you can also research on the web for the best option. New Brakes for My Volkswagen – When Do I Get Them? Braking system is crucial in all vehicles. No matter which brand or model of vehicle you own and how fast you drive, how efficient is your brake system is the most important factor. The same is true if you own a Volkswagen. Having a reliable braking system is a matter of life and death. With so many intruders on the streets the chances of accidents are really high nowadays and so having good brakes in your Volkswagen can ensure that you as well as the intruder are safe. Your Volkswagen is a smart vehicle and has wear sensors installed in the front wheel’s braking system. If the VW brake warning light is lit up on your car’s dashboard then it indicates that you have done approximately 3000 miles to go for a Volkswagen brake replacement for the front brakes. Very smart indeed! However, the rear brakes do not have these sensors so keep on the watch for the below symptoms. While applying the brake if the brake pedals vibrate or jerk then there is an issue with the rotors. 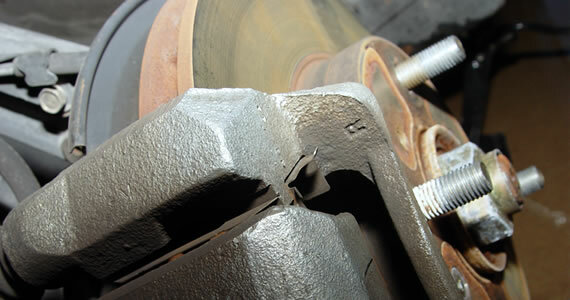 Usually, braking should be smooth and if car jerks then it is time to check the braking system and probably replace it. If one day your Volkswagen starts making noise that you have never heard before like squeaking or grinding, then probably the braking pads and rotors are damaged and need immediate replacement. 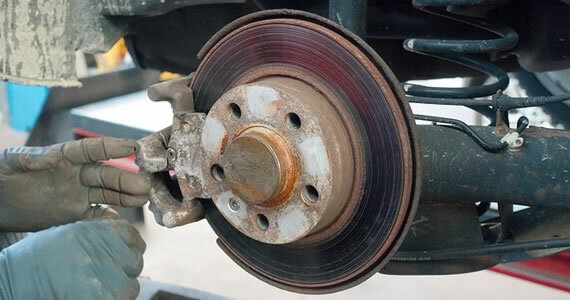 Especially, if it is a grinding sound then the brake pads need to be checked. If you hit the brakes and it takes time for them to be applied, then there is probably an air or liquid leak in the breaking system once again asking for a replacement. Sometimes your car can pull to one direction when you brake. Usually, this happened if the brakes are work out or if there is a problem with the fluids. The brakes of a Volkswagen can be checked without driving. You can do a physical examination of the brakes to check if these are worn out. If they are then it is time for Volkswagen brake replacement. These are some indications that your Volkswagen may be giving you, calling out for help and a Volkswagen brake replacement. So have your eyes and ears open to these symptoms and ensure that you get a Volkswagen brake replacement from an authorized VW service center in time so that you are safe and secure in your vehicle. If you do not come across these symptoms for a long time then remember as a general rule that brake pads need to be replaced after every 50,000 miles on an average. 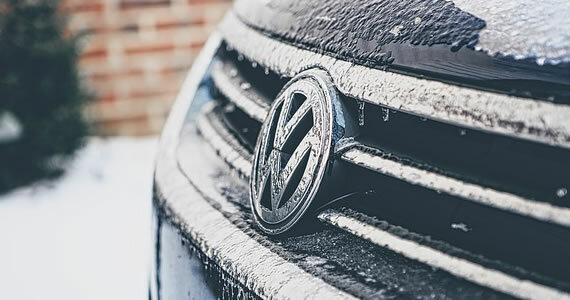 This can be overlooked by VW owners so ensure that with every VW service the braking system, brake pads, brake fluids and brake rotors are checked and replenished by the VW servicing professional so that they can remain in prime condition. Remember, safe brakes means safe life and an enjoyable driving experience! Brake pads are one of the most important components of any car. They are responsible for keeping the vehicle safe when stopping and have probably saved you from many near accidents. These pads also wear down over time due to friction and changing them is actually something you can do yourself with a little patience. Here is a quick guide to changing your own brake pads at home. Go around the outside of the tires and loosen all the lug nuts. Use a jack to lift the car up to a comfortable level before removing them. Turn the wheel to angle the tires into an accessible position and remove the lug nuts and the tire. Do this one side at a time for convenience. The caliper is the large metal piece clamped to the rotor. There are two to four bolts on the backside of it. Remove them with a socket wrench and use a spray lubricant to loosen the bolts if they are stuck. Some foreign cars have a sliding caliper, meaning you will only need to remove two bolts on the front. Hang the caliper carefully to the side. The brake pad is held in place by strong metal clips. Work the pad until you can slide it out to the side. Take a moment to examine the rotor. If you see any problems, cannot remove the pad, or notice warping, then you should take the car to an auto service center for further repairs. If everything is fine, then slide the new brake pad into position. Place the caliper back over the rotor disc just as it was before. Use the socket wrench to reattach the bolts in the same order. Check that everything is tight and in place according to manufacturer specifications. Place the tire back over the rotor and put the lug nuts on. Be certain to do all four tires at this point before moving on. Check that your brake fluid levels are fine, and add more if necessary. Get into the car and pump the brakes about two dozen times. Start the car and drive at around 5 miles per hour. Test the brakes repeatedly to ensure that they work. If anything seems wrong, then take the car to a professional for service. Places like Evans Tire & Service Centers even offer coupons and discounts on certain brake services. Being able to change your own brake pads can help to cut down on the number of trips to a mechanic you make every year. The job takes about an hour, although that time will shorten as you get more proficient. Changing brake pads at home is a very valuable skill to learn so get started today. If you’ve ever tuned into an episode of “Car Talk,” you know your family car is capable of a wide range of noises, from the boom of a backfire to the squeak of a loose belt. Here are a few common noises and what they mean for your car (and your wallet). Rattling and rumbling noises from under your car may indicate a hole or loose joint somewhere in your exhaust system. Exhaust problems can be minor, and many can go a long time without being repaired, but it’s better to have them looked at early on. Simple exhaust repairs, such as replacing a pipe or patching a hole, may cost as little as $100. More complex repairs, like installing a new catalytic converter, may run anywhere from $150 to $1500 depending on the make, model, and year of your car. Hissing noises under your hood while your engine is idling may indicate a cracked or loose hose. Depending on which hoses are affected, this can be a minor problem that does not need to be addressed immediately. However, if the hissing is accompanied by rising engine temperature or steam or smoke coming from under your hood, take your car in to the shop immediately. 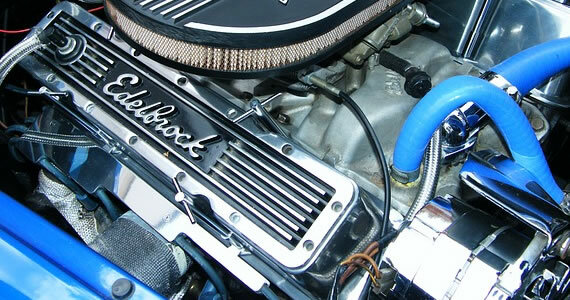 Replacing a radiator or coolant hose can run anywhere from $75 to $200 (if you have to replace both at the same time). For some heavy-duty SUVs or off-roading vehicles, pieces of the engine may need to be removed to access the hoses. This will increase the labor costs of the repair. Squealing brakes usually means your brake hardware is worn out. The squealing is caused by your brake pads scraping the discs. Have a service professional take a look. Minor wear may not require replacing your braking components. You can also try using adhesive to hold the pads closer to the pistons. However, if you want to get rid of the squeal or if your brake pads are worn to the point that they cause excess heat or no longer brake effectively, you will need to have them replaced. You can expect to pay about $150 per axle, but the repair could cost $400 or more per axle if your rotors are warped or need to be resurfaced. A thumping noise from your tires may be telling you that there is flat-spotting on your tire tread. Permanent flat-spotting can be caused by locking your wheels, grinding down the rubber in places. If the noise continues, check your tire pressure and tread. You may either need to live with the thumping or replace your tires with new, steel-belted tires. However, if the thumping is loudest in the morning and goes away as you drive throughout the day, there’s no need to take your car to the mechanic. Overnight, especially in cold weather, your tires may develop minor flat-spots which will thump when you drive the car. This thumping will go away as the tires warm up. Speedy Apollo Auto Service Centres, which provide vehicle diagnostic services in Calgary, recommend having any noise that is accompanied with the appearance of any maintenance light checked out as soon as possible. Before you take your car in for maintenance, you can use your owner’s manual to identify why the light turned on—it might be a quick fix you feel comfortable taking care of yourself. Some noises won’t have a quick solution (or won’t need to be fixed), but you should listen for any changes in the noises your car makes as they may indicate serious problems. When it comes to safety and security on the road, nothing trumps your car’s braking system. However, despite its importance, few people really understand their braking system. Do you have disc brakes on all four wheels? Do you have ABS? Do you have drums on the rear? Do you know what those terms mean? Chances are you may have some passing familiarity with brakes, but you may not know the full story. Read on to learn more. When it comes to braking systems, there are several solutions used by automakers. These include both disc and drum brakes. Disc – Disc brakes are probably those you’re most familiar with. These systems use a disc-shaped rotor (hence the name), in conjunction with a caliper and brake pads. Disc brakes can be found on just the front wheels of cars or on all four wheels. Drums – Once upon a time, drum brakes were the only option out there, but that changed some time ago. This really is older technology, but it’s still around today. You’ll find drum brakes in use on a wide range of vehicles, mostly on the rear wheels. Cars, trucks and vans can (and usually do) have drums in the rear and disc brakes on the front, unless the vehicle is noted as having 4-wheel disc brakes. Drums are very different from disc systems, and use a metal drum and brake shoes rather than a rotor and brake pads (the shoes push on the inside of the drum to slow the car). ABS – ABS is not technically a standalone braking system. It stands for anti-lock brakes, and is a system designed to prevent wheel lockups from happening. For instance, if you’re driving down the interstate and have to slam on your brakes, the ABS system will keep your wheels turning, rather than allowing them to lock up and your car to skid. ABS is essentially a safety system. They’re found on disc brake systems, but that doesn’t mean that just because a car has disc brakes, it has ABS – the two are not mutually exclusive and you’ll find both ABS-enabled disc brakes and non-ABS systems on new cars rolling off the assembly line today. Spotting wear on your brakes can be tough to do (it’s impossible on drum brakes without taking the drum apart, by the way). For disc brakes, the best way to check your brake wear is to use a flashlight to gauge the pad thickness remaining by looking through the spokes of the wheel. It’s easier if you have the wheel off, though. You can also look for signs of wear on the rotors. Visible grooves are a definite sign of serious wear. Perhaps the simplest way to keep an eye on your brake wear is to have them inspected at every oil change and tire rotation – the mechanic should not charge for a simple brake inspection. If you’re a bit frugal and find that you need to change your brakes, doing it yourself can be a wise move. Most mechanic shops are going to charge much more than the price of the replacement pads, but if you have a little bit of extra time and a few basic tools, you can usually do this on your own at home. Make sure you have a set of jack stands and tire chocks, though. You’ll also need a little bit of basic knowhow. As a note, if you have never changed brake pads before or don’t have access to a manual, doing it on your own might not be a good idea. Your brakes are vital to road safety – make sure they’re in good condition at all times. Don Elfrink is the owner and operator of AutoMatStore.com, a company selling auto mats throughout the nation. Before AutoMatStore, Elfrink was the operator of an automotive production site. AutoMatStore focuses on logo, carpeted, molded and all weather floor mats.